Movie Talk: Walgreen’s is launching a DVD-on-demand burning service where consumers can buy a movie in store. “Underworld 3: The Rise of the Lycans” is moving forward, and will be the prequel that tracks Lucien’s successful rebellion against Viktor, his former master, which set Vampires and Werewolves on a blood-feud that has lasted for over 500 years. TV Talk: SCIFI Channel and USA Network have scored first-look deals for some of Lionsgate Films’ highest-grossing films of late, including “Skinwalkers”, “The Condemned”, the Ginger Snaps movies, “War”, “Crank”, and “3:10 to Yuma”. Fox will be taking the British SF comedy “Spaced” and retooling it for an American audience, originally from actor and screenwriter Simon Pegg and his “Hot Fuzz” and “Shaun of the Living Dead” partner Edgar Wright. Ronald D. Moore will finally sit down into the director’s chair and helm at least one episode of the fourth and final season of the award-winning SCI FI Channel original series “Battlestar Galactica”. 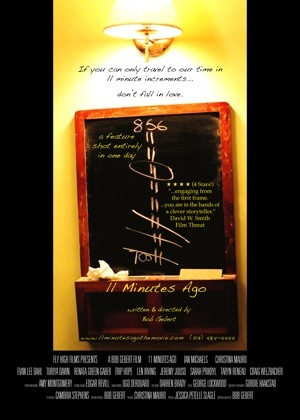 Interview: “11 Minutes Ago” is a wonderful film, a great example of what smart writing and the indie spirit can achieve. 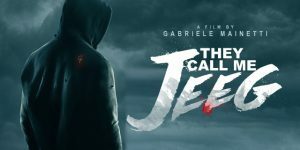 Writer/Director Bob Gebert joins us to tell us about how the idea for the movie came about, how the entire movie was filmed in just one day, and how the extra footage may end up telling the stories of several of the other characters, later on a feature DVD. If you have a chance to see this movie, go see it. You won’t be disappointed. Future Talk: Jake Gyllenhaal will star in and “The Bourne Ultimatum” exec producer Doug Liman is set to direct a new DreamWorks feature. Not much is known about the project now, but it will be a sci-fi action flick that revolves around a private expedition to Earth’s moon and the race for lunar colonization. Sony’s highly successful role-playing online game “EverQuest” will be getting made into a major motion picture with Avi Arad set to produce for Columbia Pictures. Thanks for tuning in to Slice of SciFi and be sure to join us again next week for all new content. If Hula is better than the player NBC is offering for their free replays then I’m all over it. I’m not home when Bones is on and I would like to catch up on that and House. what a incredible idea for a film. I am hoping he art house theater in St Louis gets this. I printed this out and will take it to the manager there today. 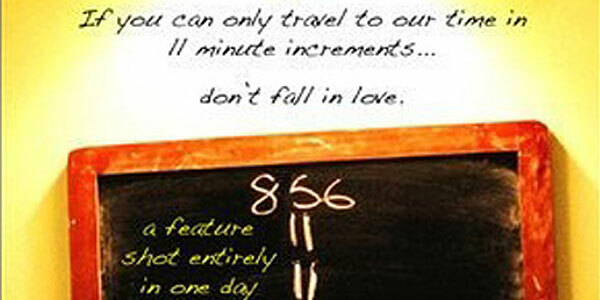 It is getting to the point that indie films are getting far better and much more creative than mainstream films. Or perhaps there always have been and I am just slow to catch on. Thanks Summer, we will be going to this one. Please everyone, don’t forget to reach out to CityTV to continue the show Blood Ties! I have to disagree with Summer about 3.10 to Yuma. Although well acted, it all fell apart for me with it’s rather silly ending (especially compared to the far superior original). I wonder if Russell Crowe insisted he couldn’t die on screen when he signed up for the movie. I actually haven’t had the time to do any digging to find out why they changed a few things from the original, but the remake did surpass my expectations for overall quality. I must admit that I want to watch the new one and the original together… I’m still undecided on the fair comparison scale. Could you please change the “Listen Live” page to use Universal Time? I’m having a hard time figuring out the right time to listen on Saturdays. so the film will be either on the web or just dvd? ah well, helps to wait until after I listen to the show before I post a comment I guess. still looks and sounds like a great film. In regards to Battlestar, all I can say you Yanks are spoiled, in Australia we have had series cancelled, send to the midnight hour, having 2 year breaks you name it, and if we like a show we stick with it.. so what Battlestar is not back till April for you… we still havnt had season 3 on TV yet!!! Greg Berlanti writing/directing Green Lantern may not be all bad. From what I remember in season one of Everwood one of the small details of Ephram Brown’s character was that he was a comicbook reader, specifically Green Lantern. If I remember correctly he wore a GL tee at one point. There is also a GL reference in the third season.